Located on the south coast of Andalucia, Nerja is a small town with a wonderful sunny climate and beautiful unspoilt beaches. Known for its friendly and outgoing locals, Nerja is often a favourite amongst students as it is a city in which you can easily make friends and practise your Spanish skills with native speakers. 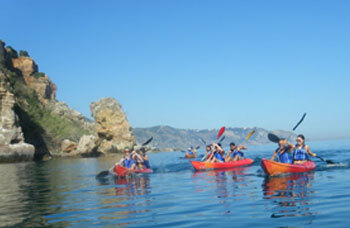 You certainly won’t be stuck for things to see and do in this delightful location, whether you are interested in discovering the Prehistoric Caves of Nerja, sampling traditional tapas in one of the town’s many restaurants or learning a new skill, such as flamenco dancing or water sports. What’s more, Nerja finds itself within easy reach of many other Andalusian cities, such as Granada, Malaga and Seville, giving you plenty of opportunities to explore this magnificent region of Spain! 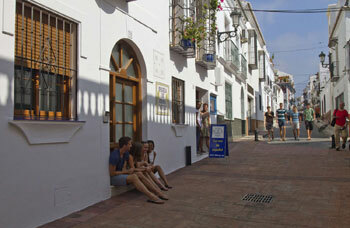 Our Spanish school in Nerja is in the heart of the old town, in a typical Andalucian house with its own gardens. The school has 12 air-conditioned classrooms, as well a bookshop, library, comfortable student lounge and cafeteria. You can learn Spanish on an Intensive course of 20 lessons per week or on a Super-Intensive course of 30 Spanish lessons per week. 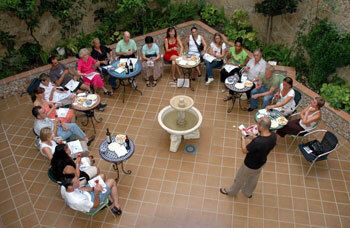 These courses aim to improve your general Spanish skills and take place in small groups of no more than 10 students. For a more personalised learning approach, take a course of Private Lessons. 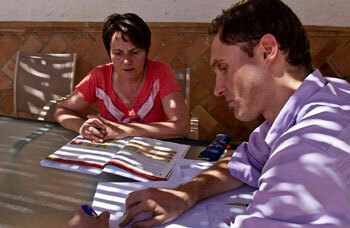 Private lessons allow more flexibility and give you the opportunity to tailor your Spanish-learning to suit your needs. For students over 50 years old who prefer to learn Spanish with students of a similar age, our Nerja school runs a Club 50+ course, combining Spanish lessons with a program of visits and activities. To further immerse yourself into Andalusian culture, you can even choose to take an Intensive + Dance or an Intensive + Photography course. For complete immersion into the Spanish language and culture, choose to stay with one of our school’s carefully selected host families, where you can practise your Spanish skills with native speakers of the language! This type of accommodation is offered on a half-board basis, meaning that you can enjoy two delicious Spanish meals per day with your host. If you want a particularly good standard of accommodation, the school’s own high standard student residence is just a few minutes’ walk from the school and beach. 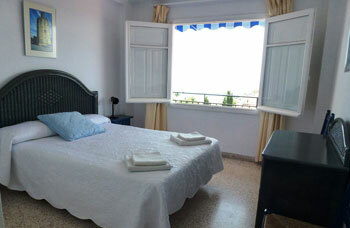 All rooms in the residence are air-conditioned and have an en-suite bathroom. 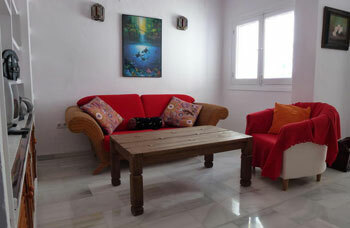 The residence also has a rooftop swimming pool with sun terrace, as well as a café and Internet access. 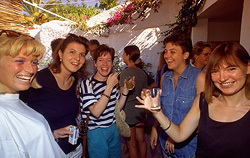 Our school in Nerja organises a program of 4-5 after class activities per week, including parties, dance and cookery classes, Spanish film evenings, visits and excursions to Granada, Seville and Cordoba, to help students enjoy their stay in Nerja. 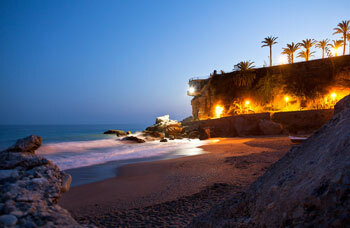 Airport transfers to Nerja are available from Malaga Airport upon request, or there is an excellent public bus service. Please note that private airport transfers are not included in the overall cost of the programme and will incur an additional fee. Average score for our school in Nerja based on 40 previous client reviews. The course was challenging but very enjoyable. Everyone was very friendly and supportive, the teacher was great and the lessons were fun. The accommodation was good. Clean, air conditioned, private bathroom. The staff there were all very friendly, the sun terrace and courtyard were nice as was the breakfast. The course was delivered at the right level and pace. The learning experience was both informative and enjoyable. This was the highlight. I stayed in a home stay with friendly supportive welcoming people. They were interested in my studies and very eager to make sure that I continued to improve my limited Spanish with their help. Thank you Isabel and Juan. A good learning experience a great social scene with friendly fellow students who where supportive in class and good company in the bars. The course was excellent! Lessons were lively and great fun, tutor, Francisco was very creative and expressive. There was the recognition that, although grammar was important, of greater importance was to be talking all the time - even in breaks between lessons, I found, as a group, we were speaking Spanish! All the staff at the school were so welcoming, and the activities were amazing - history, culture etc. 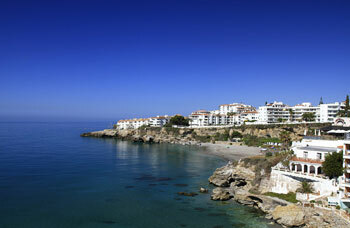 I will definitely be returning to Nerja, thank you! I stayed with a host family and felt welcomed immediately! They opened their home to me and looked after me so well, I felt relaxed and comfortable from the very outset. I feel that living with a family helped me to continue my practice and learning beyond school time, and enriched my experience hugely. We had lots of long conversations about all topics, so it definitely helped me in becoming more confident about speaking the language. I just want to say again that my whole experience has been amazing! The whole process, from the beginning, booking my course with the company, friendly, helpful staff if I had any questions, my transfer to Nerja to my accommodation, being welcomed by my host family and then being settled into the school. I feel my group (8 total) bonded really well, and we had lots of fun whilst learning! We shared meals and times together on evenings after excursions which was great! Everything was organised and explained so well. Thank you again for such a wonderful stay!! 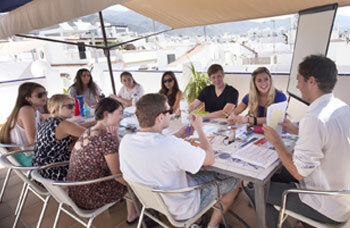 Very professional and friendly at the same time The school of language of Nerja is perfect for studying Spanish in a small town near the beaches. Good for vacation! First class! Excellent teacher; nice class-room location (in the garden, under a canopy! ); good range of evening events. The course that the school recommended was B2 and although I had originally applied for the advanced course, this was the correct one for me, as it reinforced what I needed to revise i.e.uses of the imperfect subjunctive!!! The other students were all the same level as me. Two incredible teachers - Paco and Felix, that we kept throughout the two weeks. I stayed in the residence (Star room) and had no complaints at all. The activities were very well planned - paco to be congratulated for a job well done!!! I was entirely pleased with my classes in Spanish! 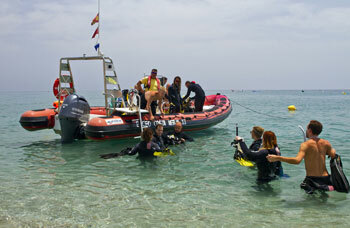 The instructors were so qualified and offered help whenever needed. They all had wonderful enthusiasm which made the classes fun and interesting, which of course leads to more retention on the student's part. I would consider doing it again. 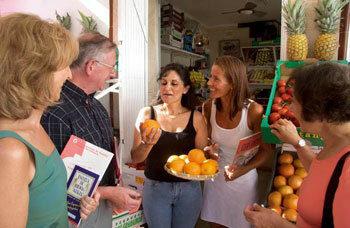 Nerja is a charming, friendly town that made it easy to use my new language skills with the locals. 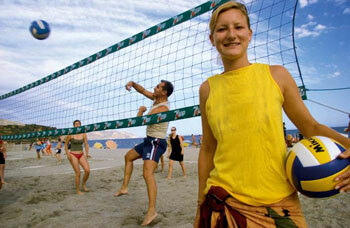 With beautiful beaches and vistas everywhere you could also relax and renew. The school itself had great classrooms inside and outside with state of the art equipment. They also had different excursions on weekends that were optional and several seminars on topics of interest in the evenings that were also optional (in Spanish) of course! I had two teachers, Carmen and Fracisco. They were both endowed with a likeable personality and so easy to get on with. It was not only good for learning but it was good fun. The course was simply amazing and teachers highly professional! I would not have imagined to learn so much and to be completely immersed into the Spanish culture just in a few weeks time. Family atmosphere at the school, activities offered and friendliness of the school staff make the experience unforgettable! Accommodation was nice and cozy, however I found the breakfast choice a bit limited. Our teacher was brilliant, all staff extremely friendly and helpful. Excursions were varied and interesting. Excellent tutor with interesting and challenging lessons. First class extracurricular activities included free. The course was very well taught and focused on speaking Spanish, which is what British teachers don't really seem to do. I also liked how the teachers only ever spoke Spanish, which helped me to pick up a lot of vocabulary. My accommodation was wonderful. The only thing I would say is that if somebody was relying on using the kitchen for all their mealtimes it isn't possible as it only opens from 9a.m- 8.30p.m, but that wasn't a problem for me as I ate out most of the time. 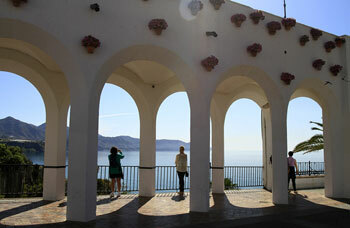 I had a wonderful time in Nerja and will hopefully be returning next year. Having been before, I knew what to expect, and was not disappointed. I had damaged my knee the week before I went and the staff took my temporary disability into consideration during excursions etc. The main tutor for my group was clear, expressive and very amusing. I learned a geat deal in a short time. The evening activities/lectures and the outings were well prepared and well executed. This was a well constructed course, suitable for the age and range of abilities of the students who participated. My accommodations were simple and clean - the breakfast fantastic and the facilities so culturally original. Loved the whole experience - would definitely return. I spent 3 weeks with a host, a woman in the family home in one of the old characterful streets two minutes from the school, her family now grown and settled in the neighbouring countryside. I loved her, she was an old hand at this, the house and bathroom spotless, she fed me and the my housemates magnificently, and was delightfully relaxing to ask practicalities. The course was very good overall. The accommodation was excellent. The school is really good, the teachers are professional and friendly. I stayed in the residence, the room is really good. The course was great, material, methods etc. were excellent. The language course was really good. I liked the teachers and I think it helped improve my Spanish. The course wass very well organised with very helpful teachers. The course was excellent - I did find it quite challenging as I was in an advanced class but I gained confidence as the days went on. The excursions were very varied and it was a nice touch that there was a glass of sangria and a bit of a ceremony when the final certificates were given out. The school staff were excellent especially when I was trying to find accomodation to stay on in Nerja a little longer. I will definitely return to this school. Staying in the residence was like staying in a hotel! The roof top pool was invaluable for post class relaxation! All the staff were very friendly and it was great to be able to buy a coffee and then sit in the patio, working, chatting or reading the paper. (Also provided by the residence) It was also great to be so close to both the school and the beaches. I would highly recommend it. Once again, I have had an amazing experience with Apple Languages. Many thanks to all your staff. It's great to be able to call with any questions . The reason I will continue to use this company is there is no 'hard sell' and the people 'on the other end of the phone' often have a personal knowledge of the school/location. I can''t wait to go on another course! I found it very helpful to totally immersed in the Spanish language. We were a small class of 7 people, Dutch, Germen, Swedish, Swiss, Irish and myself. We got on very well from the beginning. The level was the right one for me and I thought that my tutor was very good. 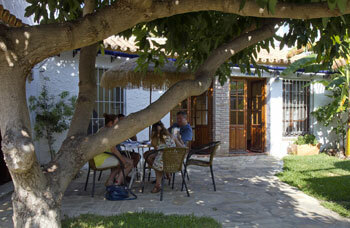 I got on well with my host and think this was the best accommodation I have had so far on Apple Language Courses. I was invited to sit with my host and watch TV and the food was plentiful and very good. True Spanish cuisine. A great experience, absolutely fantastic, the teachers were very professional and all lovely people who are totally dedicated to their students. They work extremely hard and the course content and extra activities were brillant, great fun! It was a great way to meet with other people from other countries and make new friends. I cannot wait to go back, I will go the next time for 2 weeks, one week is not enough. I would recommend it to everybody of any age or nationality. I enjoyed the course very much, the tutors were very friendly, kind and welcoming. I really had a great time. We are definitely returning next year! 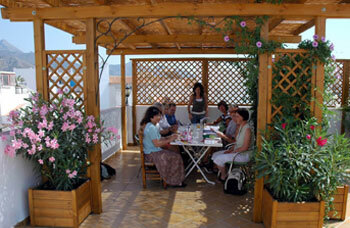 Excellent location with very good teachers and a good level in small groups. Very satisfied. Accommodation was of a very high standard in a student residence. Rooms were cleaned every day. I did the basic A1 intensive course which I enjoyed and got good grades at the end. The course itself was pitched at just the right level for me. Our course tutor was knowledgeable, thoughtful, good-humoured and encouraging. As the group was small, she knew each of our strengths and weaknesses and gave sensitive help where most needed. The two evening lectures on La Corrida and Flamenco were excellent - clear, very well-presented, light-hearted at nicely pitched at the ability level of the audience. We stayed with a lovely host. She was a superb cook and provided us with a wide range of excellent Andalucian dishes, almost all ingredients being taken straight from her own market garden just out of town. The food was one of the highlights of our stay in Nerja. She also did her utmost to support our Spanish, chatting through all our meals, gently correcting us when we made gross errors but encouraging us if every other way. She answered our questions about the surrounding area, the Civil War, Spanish traditions, working practices, local services and the entire gamut of our personal interests. She also had the knack of knowing when to ask a question to bring in those who haven't been contributing to the conversation. I enjoyed the course very much, the teachers were very good. The accomodation was ok, I wanted to see how life in Spain was so I was not expecting 5 star luxury, the people were very nice and talkative and I have no complaints. I have had a very enjoyable two weeks and made many new frends from around the world.